I have to confess something. 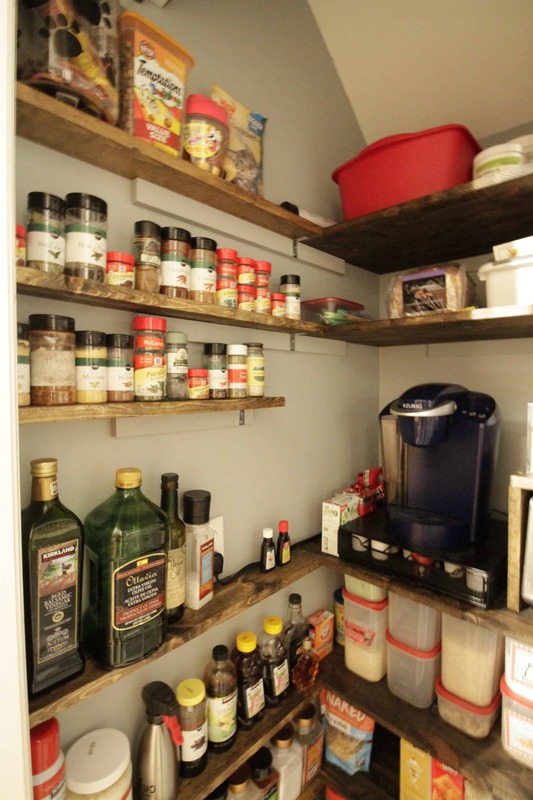 Tuesday, we published our “complete” pantry remodel, but we lied. It wasn’t complete. Of course, is any room project ever “complete”? 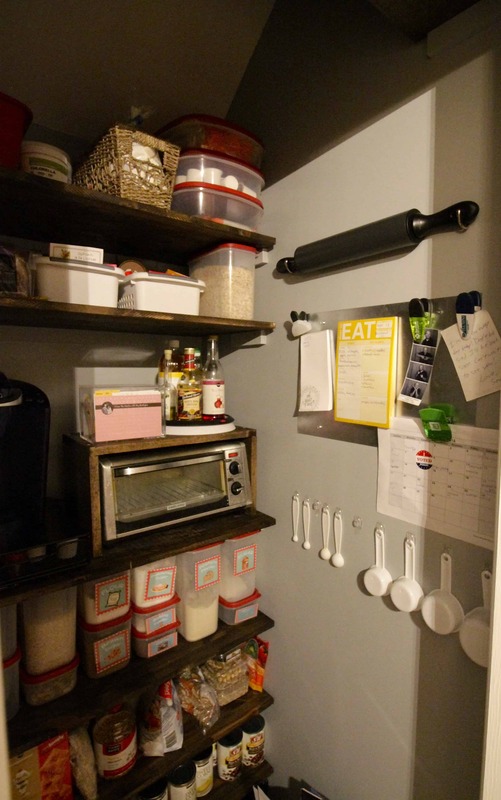 We thought it was done, but we quickly found three ways to make our new pantry even better! The first was that was were super excited to move our Keurig coffee maker and our toaster into the pantry. Well, the toaster is about half the height of the Keurig, so that left us with some empty space that was worthless. 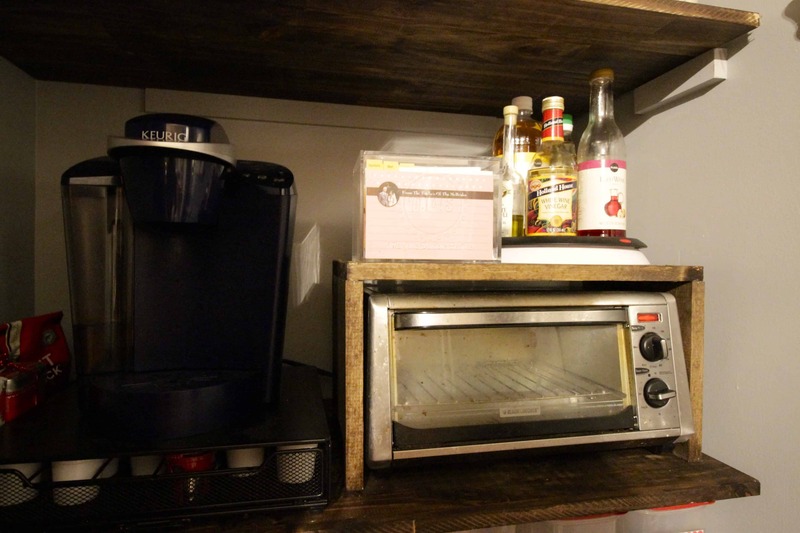 We decided to build a little shelf that would fit perfectly around the toaster so that we could put some more things on top of it to fill the empty space! It was super simple. We just measured the width of the toaster, added an inch to both sides for the legs, then cut that and two legs that were the height of the toaster and screwed it all together. Very elementary, but very effective. We have used the toaster since putting it under the shelf and since we left about a 1 inch gap all the way around and the back is open, steam and heat has plenty of space to escape. Winning! Next, we decided to add one more shelf to the left side of the pantry walls. We had lined up all of those shelves with the big shelves, so again, since the one shelf (for appliances) was so much taller than the others, we had a big gap above the one shelf. Enough of a gap that we were able to add a whole other shelf. 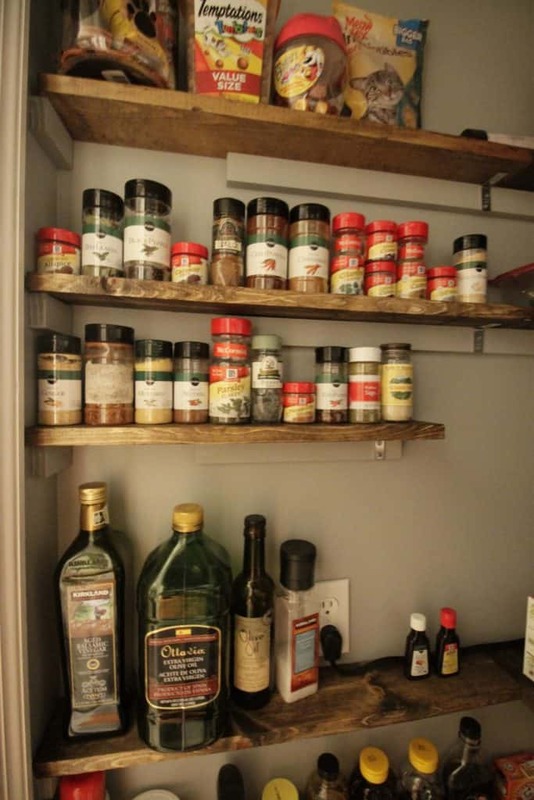 We cut it the exact same as the other shallow shelves on that wall and made it our second spice rack so that the spices weren’t doubled up on the one shelf. Finally, we addressed the opposite wall. Here, we hung all of our measuring cups using Command hooks for easy access. Above that, we hung our rolling pin as well, since that straight up just doesn’t fit in a drawer. Finally, we bought a thin sheet of metal and hung it to the wall with four screws. Here, we can attach anything that has a magnet on it, like our grocery list, meal plan sheets and bag clips. 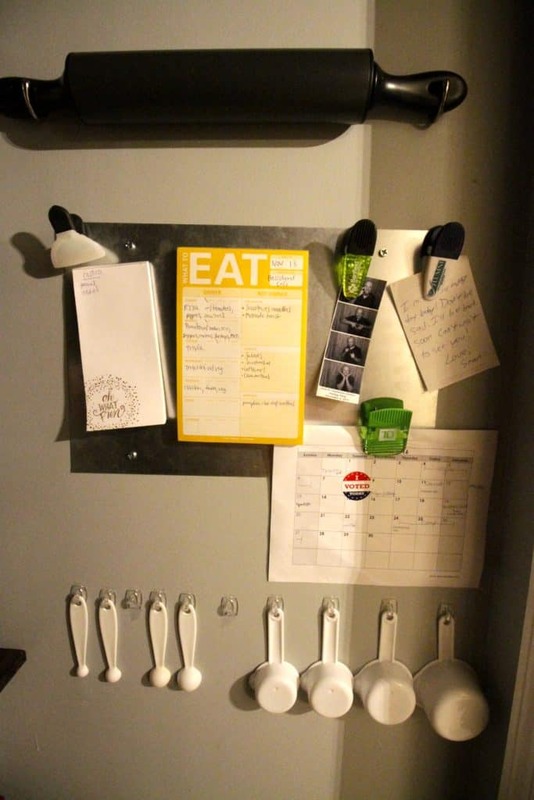 It’s a perfect way to get them into the pantry with the food and not hanging on the back of the metal kitchen door in the open. So there. NOW I think the pantry is completely finished. We have so much storage and so many options for the future. We’re loving this and can’t wait to tackle the actual kitchen!